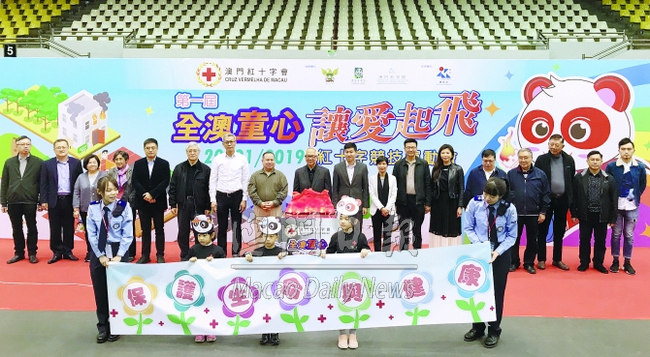 (Macau Daily) Macau Red Cross (MRC) hosted the first “Macau Children Join To Convey Love Sports Day” recently. 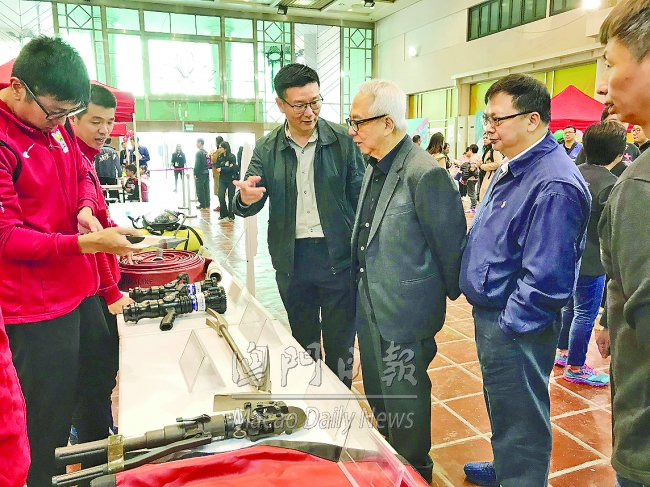 The event aimed to promote awareness of disaster prevention, disaster relief, and environmental protection. Wong Yue Kai, President of Central Council of Macau Red Cross, said that part of the construction projects of Congjiang County in Guizhou Province, which cost RMB10,000,000, were expected to be completed within the year. The event was held at the Macau Forum. 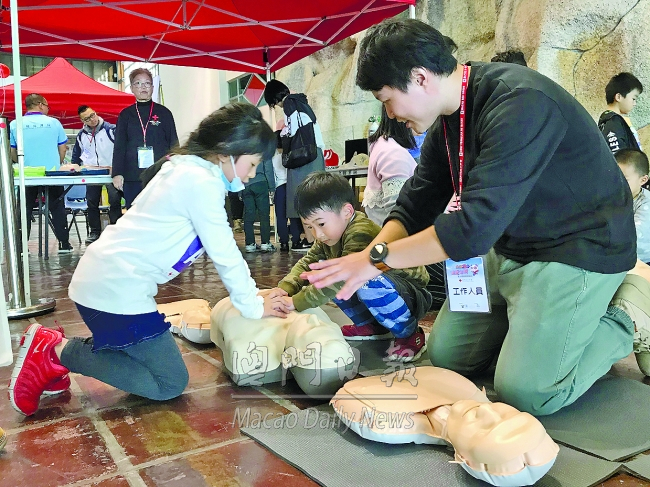 It was divided into four different theme areas, including Disaster Awareness, First Aid, Fire-Fighting, and Environmental Protection. In addition to individual groups, there were also parent-child groups in the competition, and these made a large number of residents to participate with their children. Some parents said that since their children joined the summer programs of MRC, they were able to gain new knowledge by reviewing the past, and to apply the knowledge when necessary through this event. 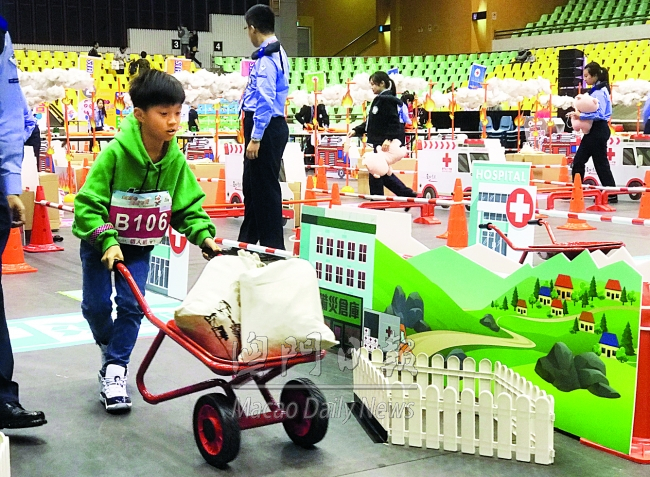 According to Wong Yue Kai, through holding the Sports Day, MRC hopes that children understand what disasters are, learn how to escape from disasters, be aware to protect the environment, and also understand the importance of disaster prevention, disaster preparedness, and first-aid. Moreover, parents and children would face and solve problems together once they encountered unexpected situations. As for the construction projects in Congjiang County of Guizhou Province, he pointed out that the funds were contributed by organizations in Macau, and MRC sent personnel there for supervision from time to time. The projects have been carried out successively, such as fraternity home, which provide residents places for activities, and subsidize their livelihood development. Some of the projects are expected to be completed within this year. MRC has been assisting Guizhou Province for more than 10 years to help improving residents’ living environment, and to carry out prevention and cure to endemic diseases of fluorosis, arsenic poisoning and leprosy. Last year, MRC has provided non-emergency transfer service to around 30,000 people. At present, the manpower is still able to cope with the services. However, it will be increased if necessary. Ho Wa, Chief of Sports Facility Management Department of Sport Bureau, Cheong Chi Wang, Assistant Chief of Research and Planning Department of Fire Services Bureau, Un In Lin, Head of Environmental Publicity and Education Division of Environmental Protection Bureau, Cheong Hong Fat, Deputy Curator of Macao Science Center, and other guests also attended the event.